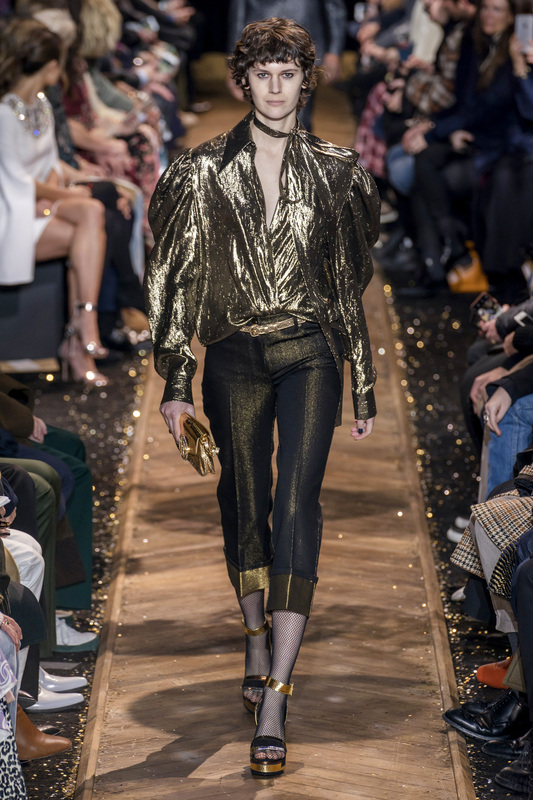 Studio 54 was a short-lived haven for artists, partygoers and fashionable New Yorkers that wanted to, as Michael Jackson says on Off the Wall, “leave the 9-to-5 up on the shelf, and just enjoy yourself.” Though the nightclub operated for a few years, its lasting effect and impact is still felt today, especially on Michael Kors, who frequented the club himself as a young adult and drew inspiration from the club and the 1970s party scene for his FW19 collection. 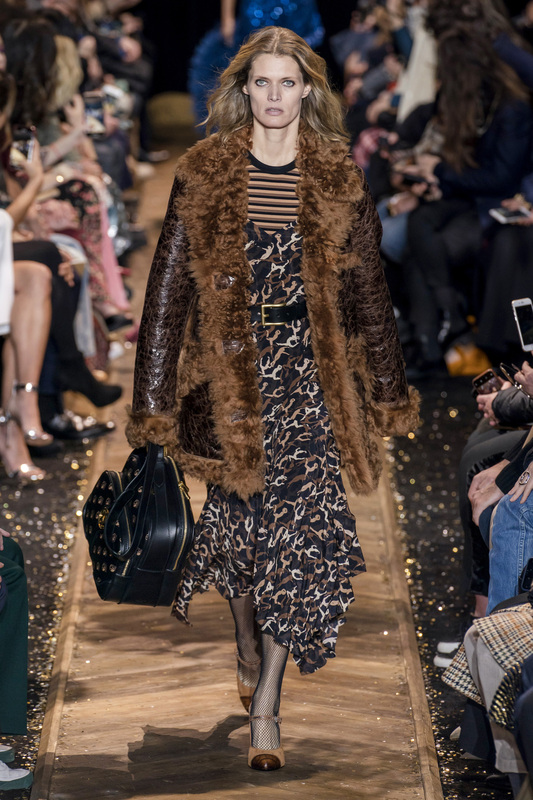 Kors focused on the many characters you would see at Studio 54 for this collection like the dancers leaving rehearsal at Lincoln Center, referenced by knit bodycon leotards, head wraps and an original print of dance poses, and stylish men in bellbottoms and platform shoes, one of whom looked very much like Kors’ in his younger days and wore a brown leather and shearling jacket and light wash jeans, which Kors wore to the club as a teen. 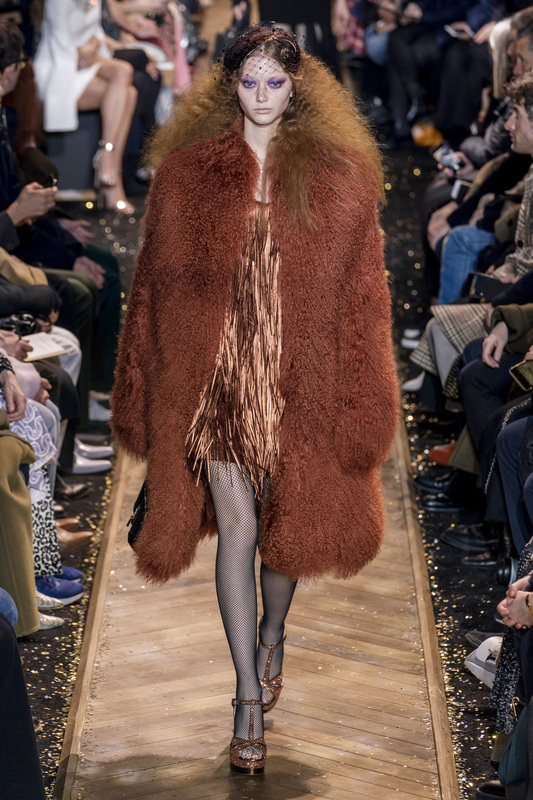 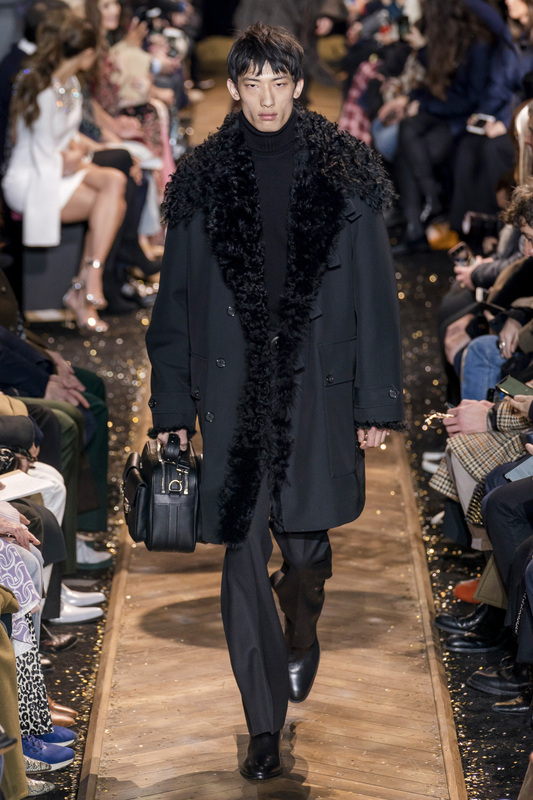 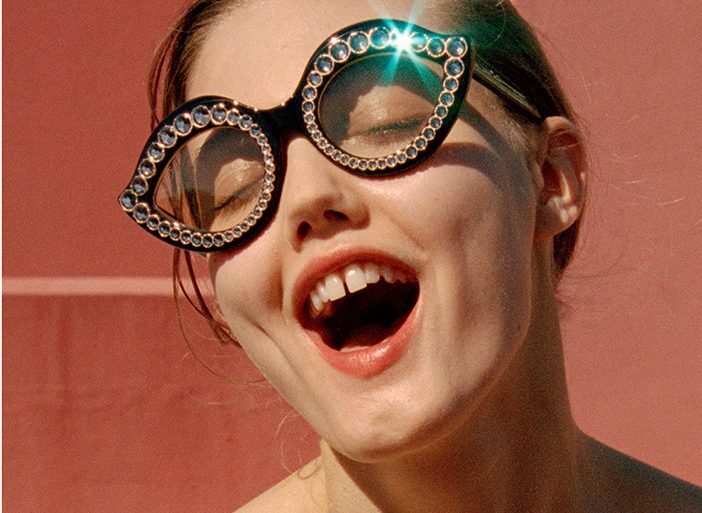 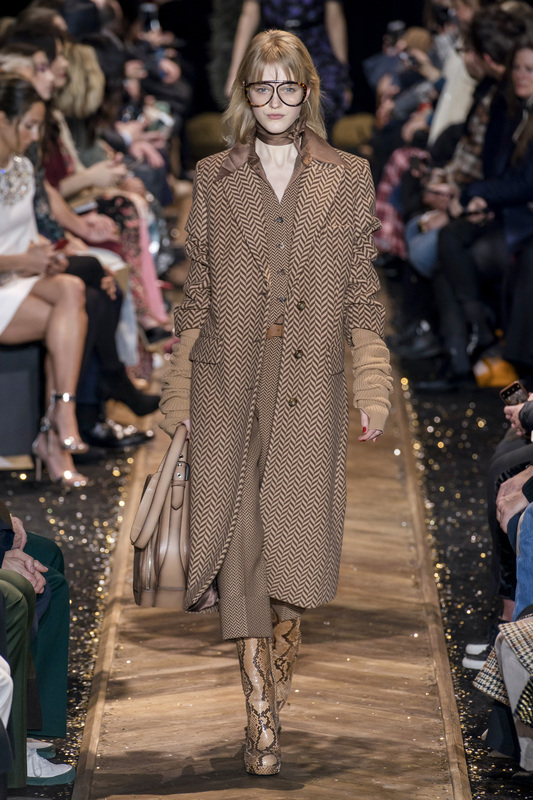 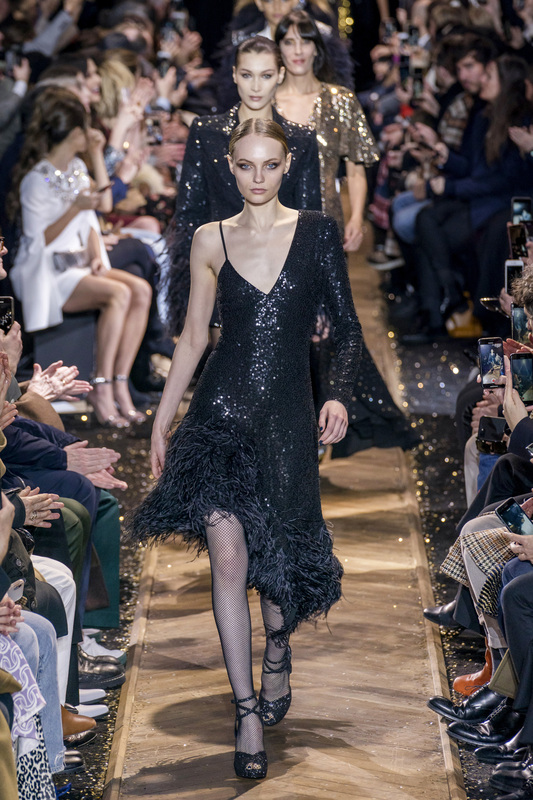 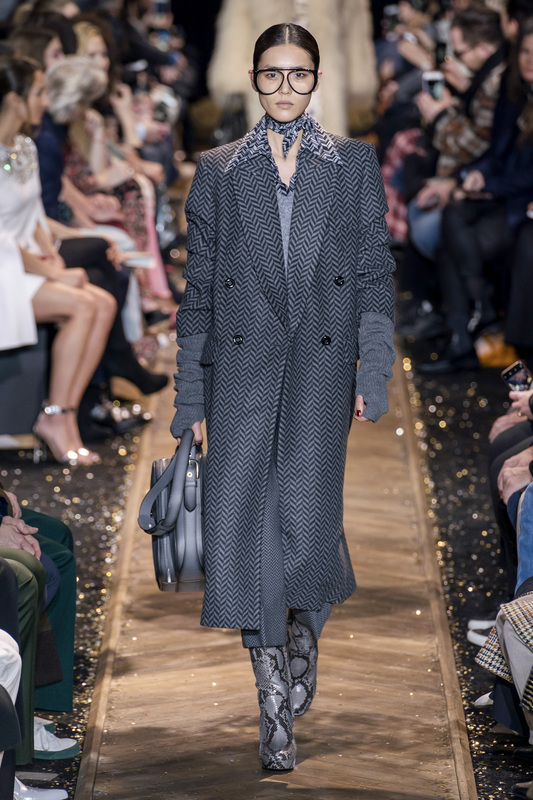 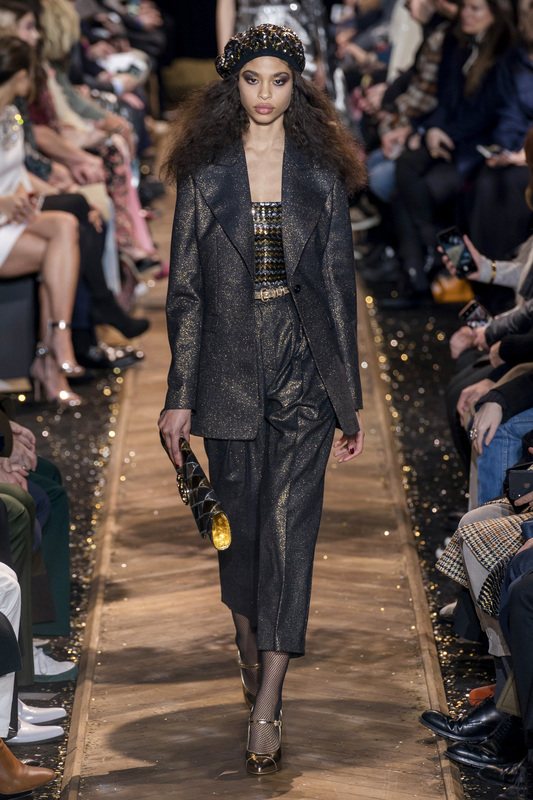 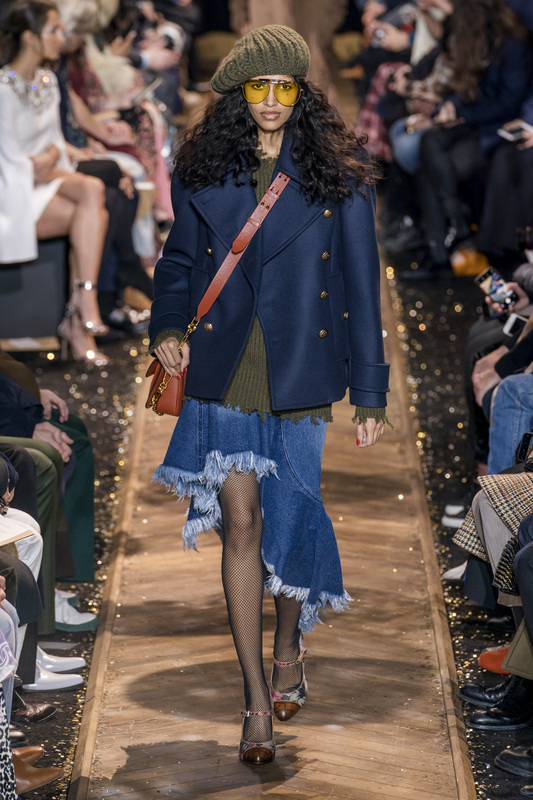 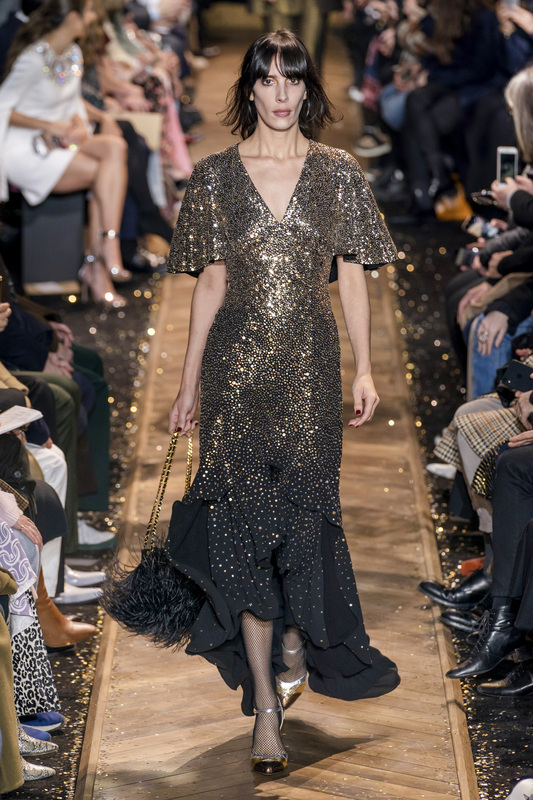 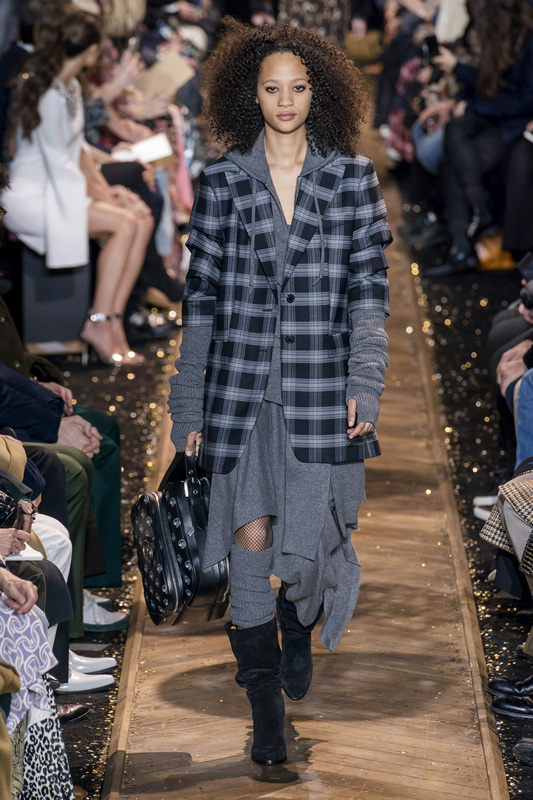 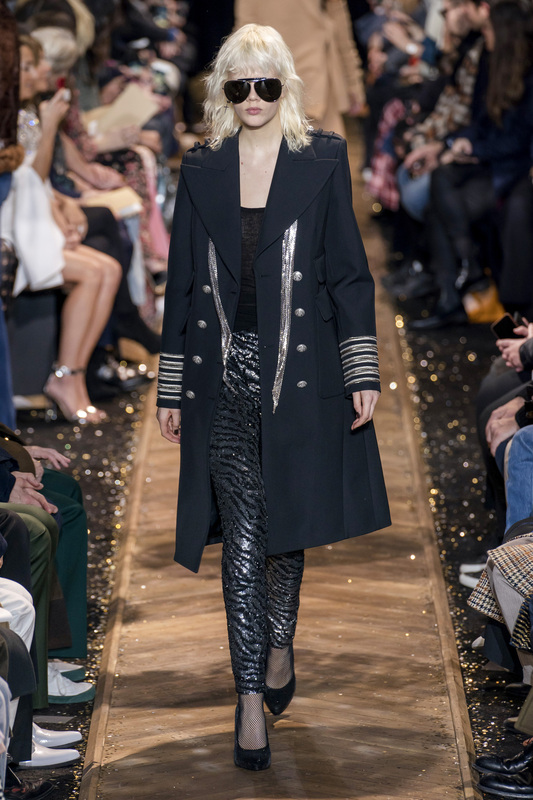 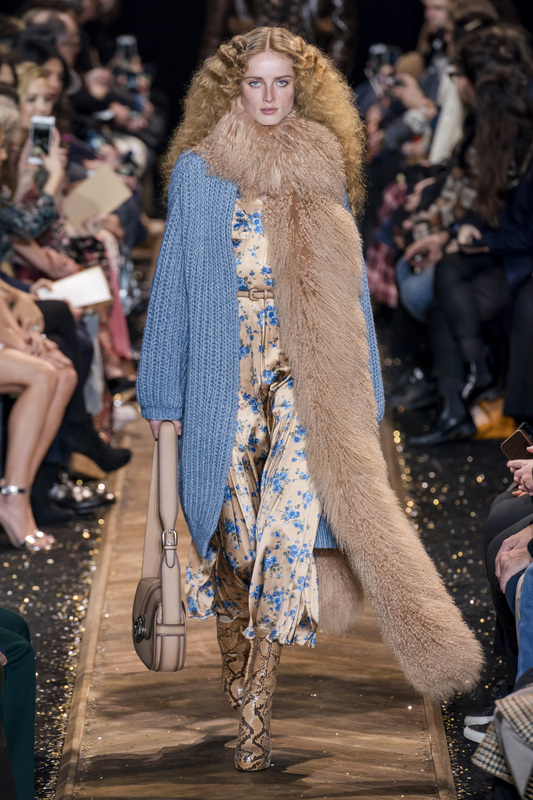 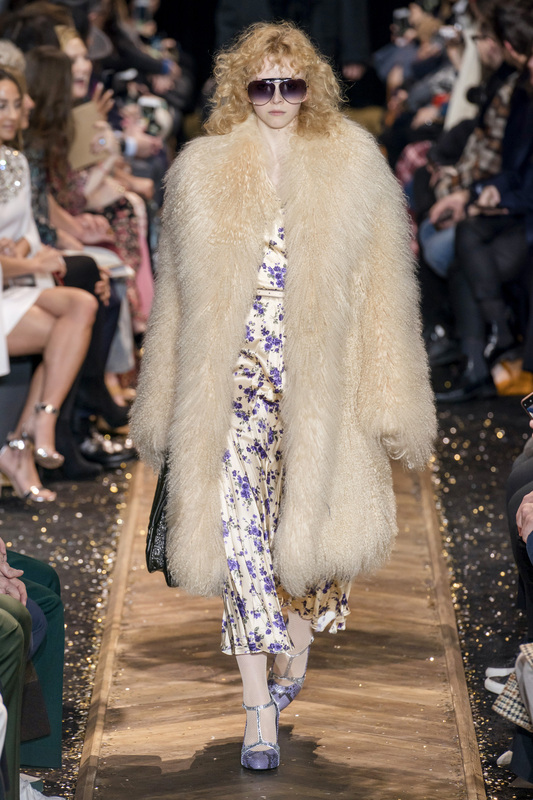 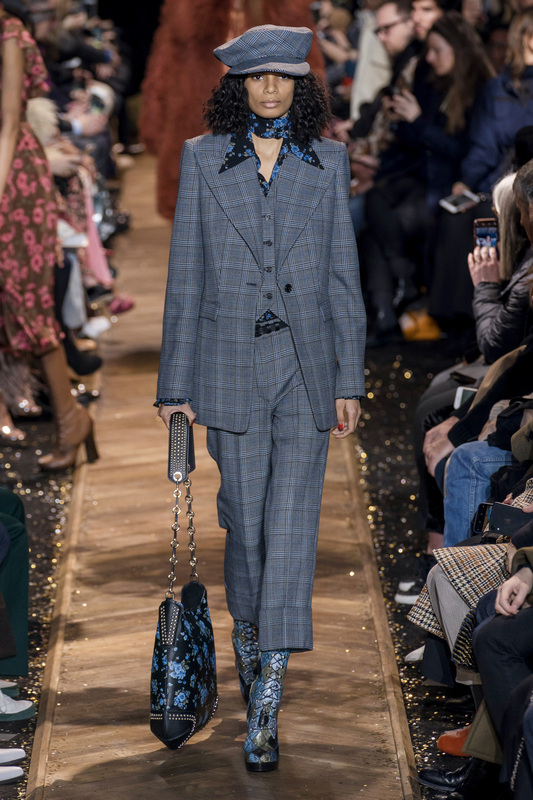 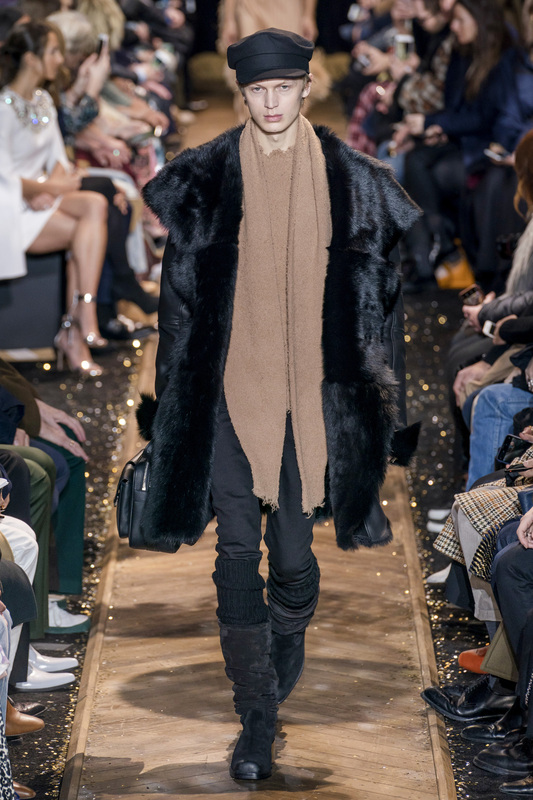 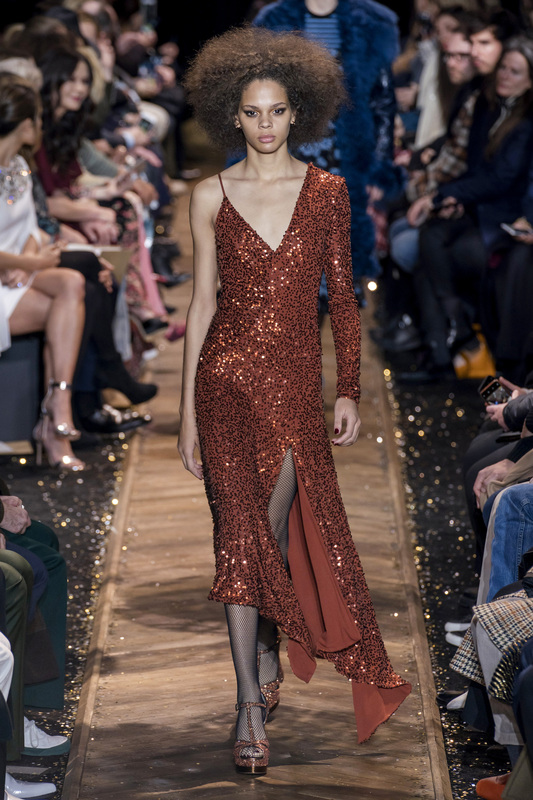 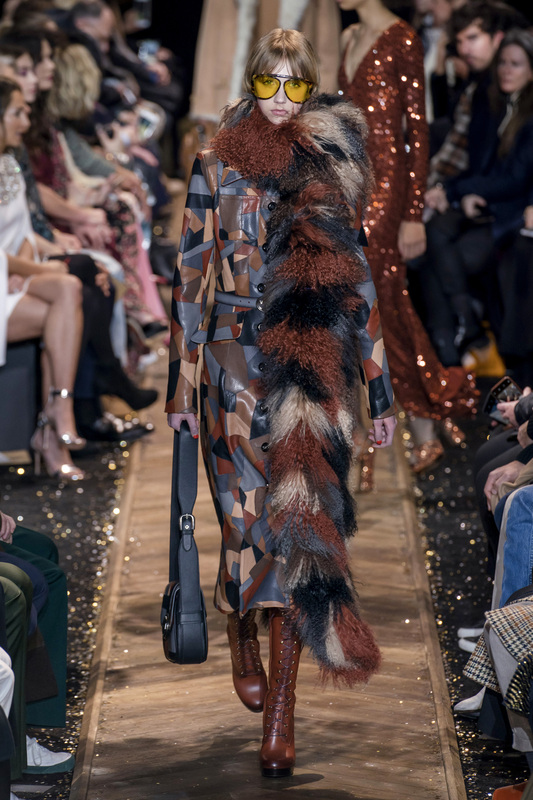 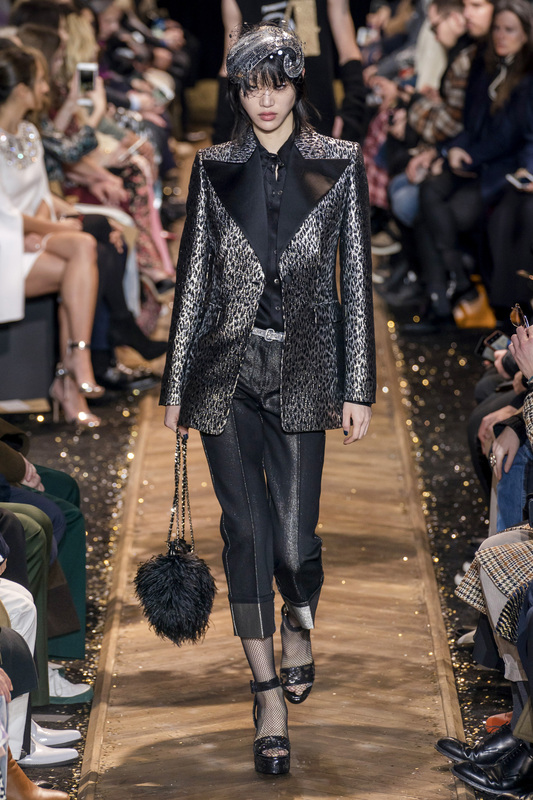 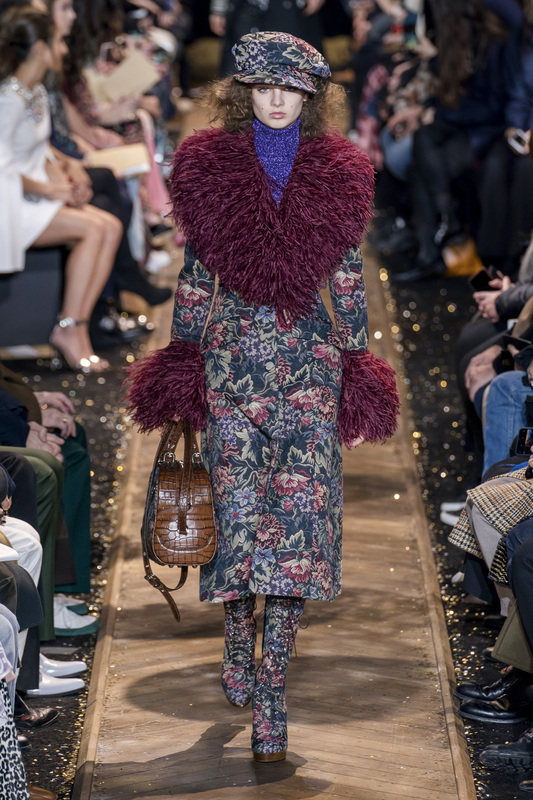 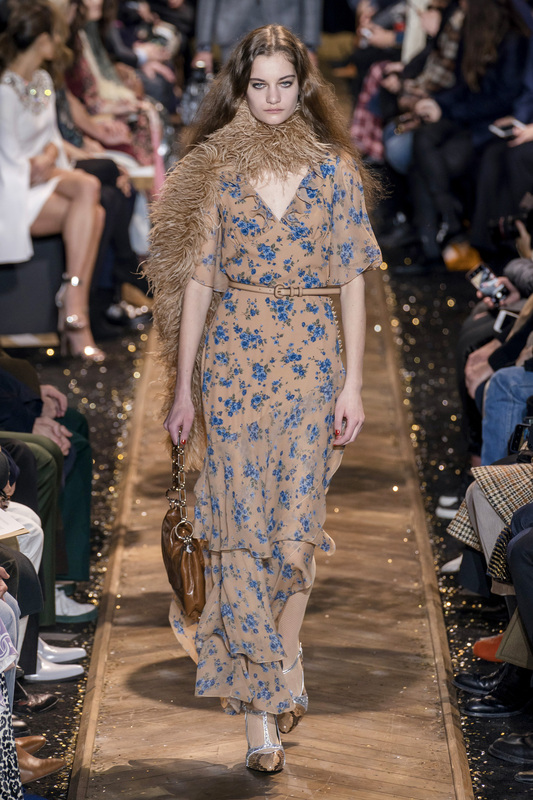 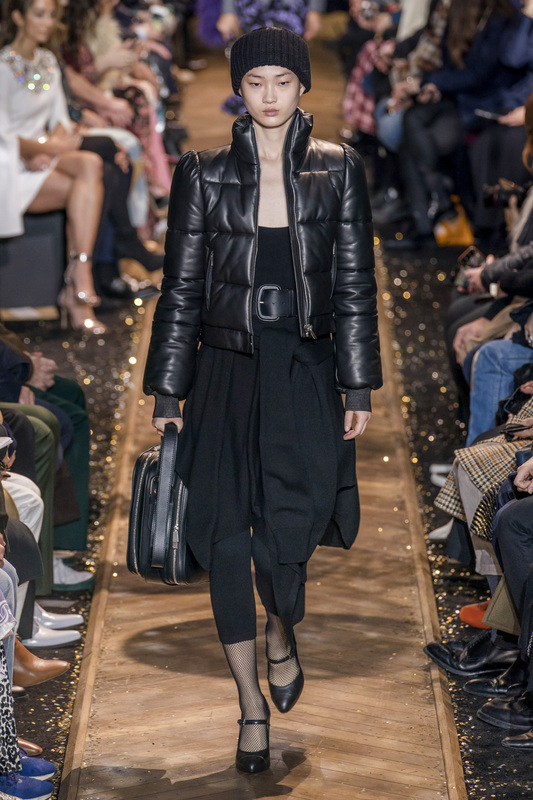 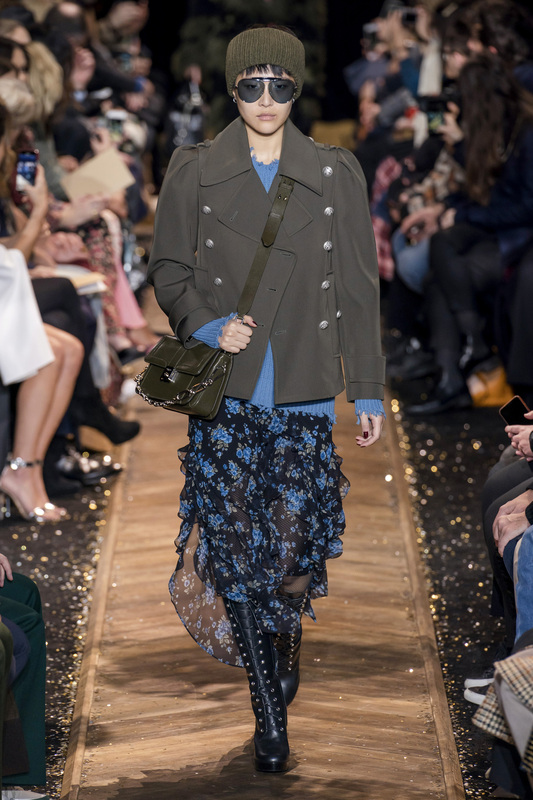 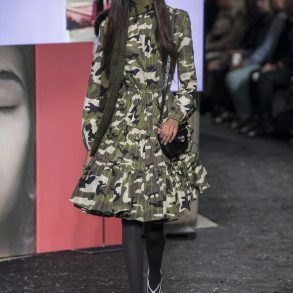 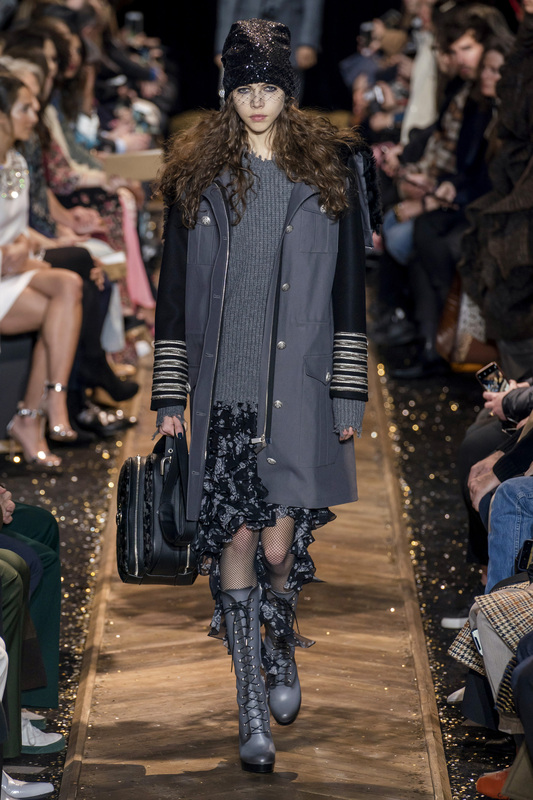 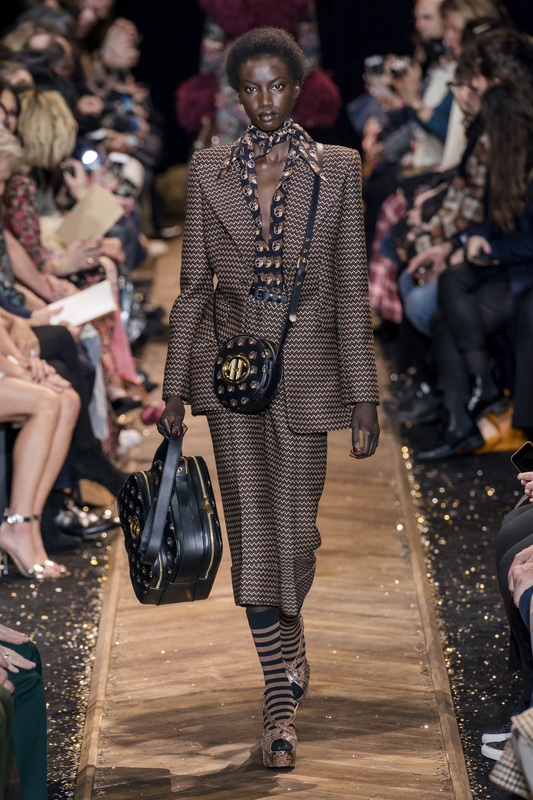 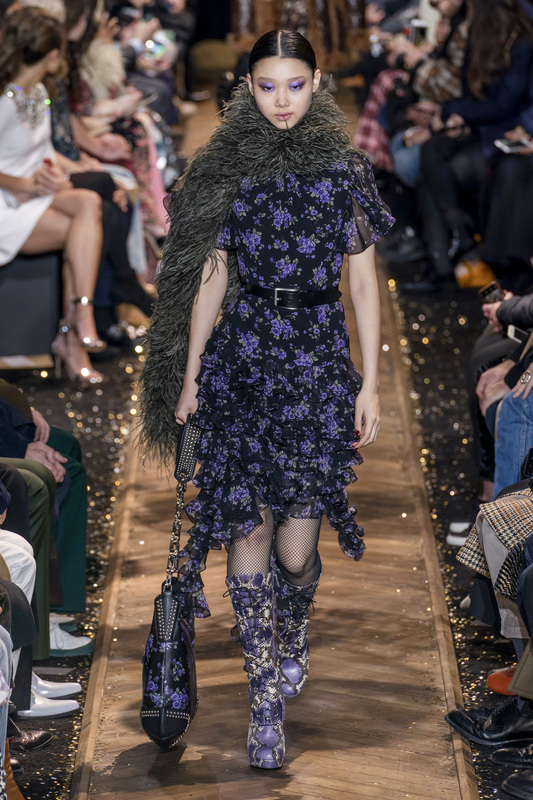 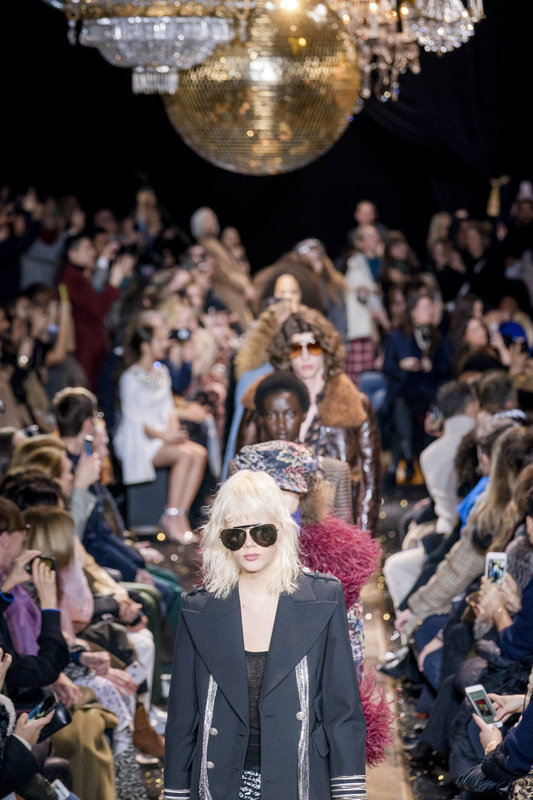 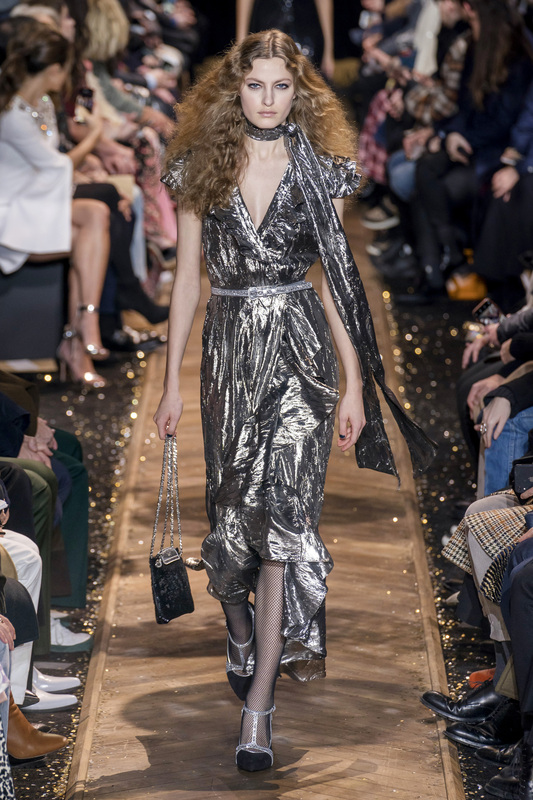 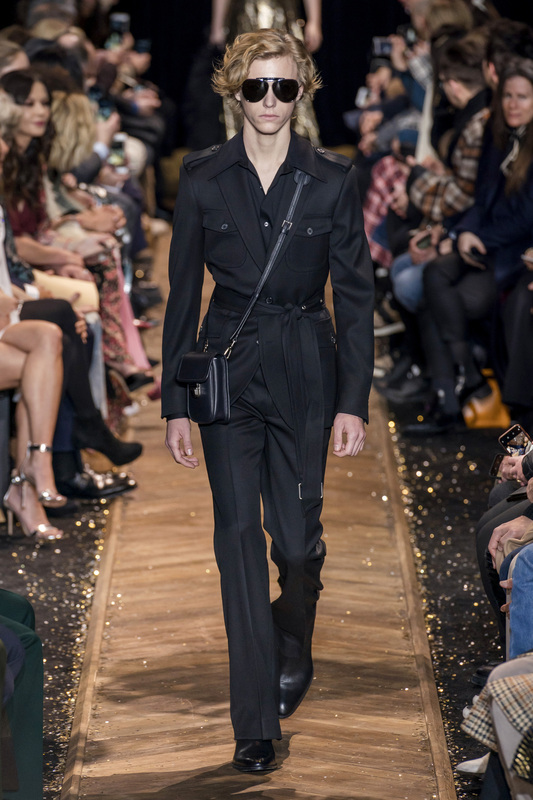 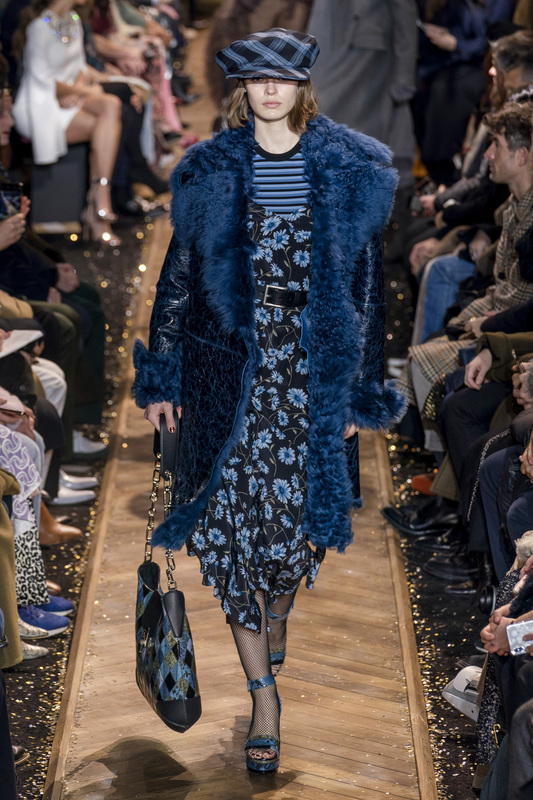 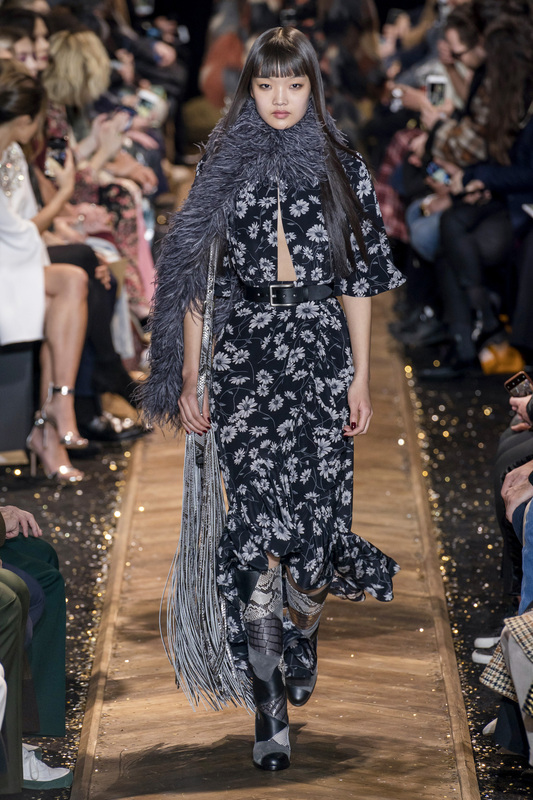 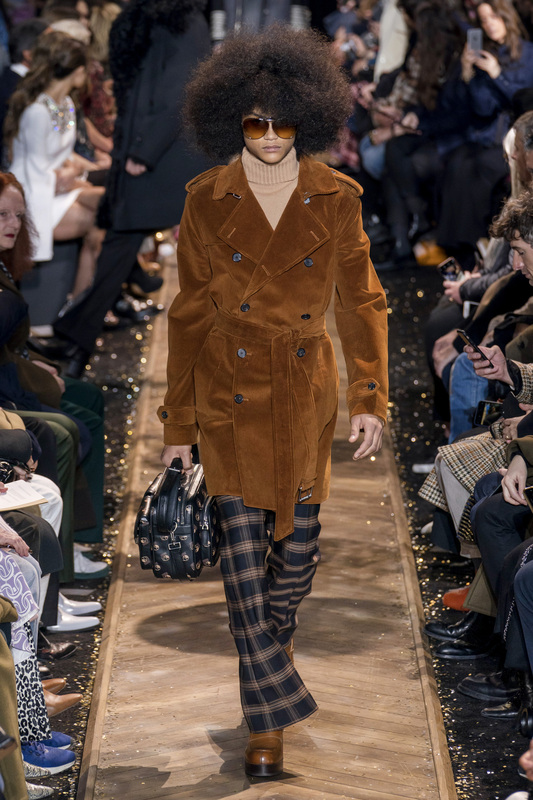 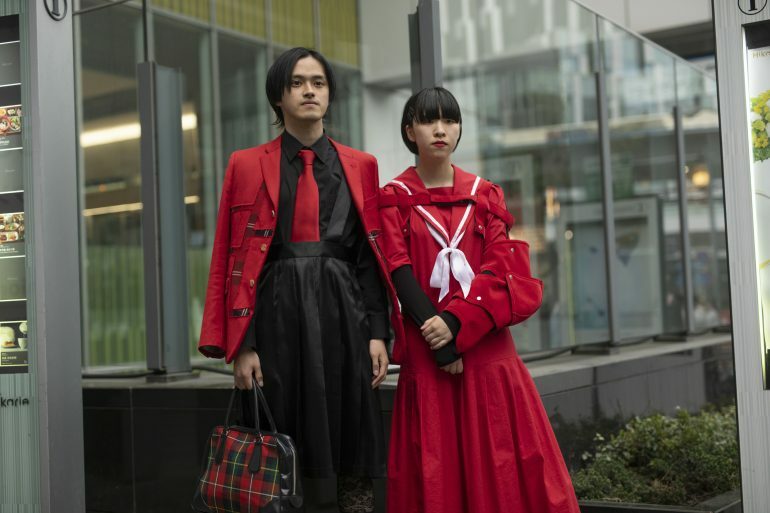 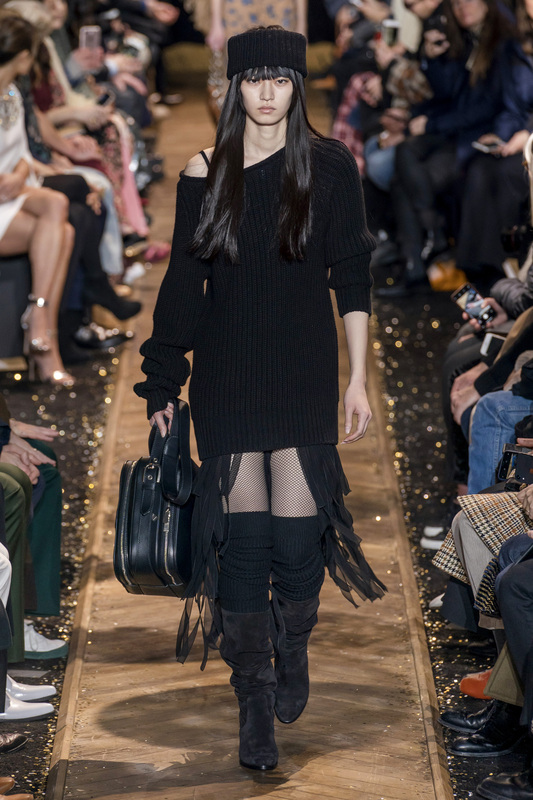 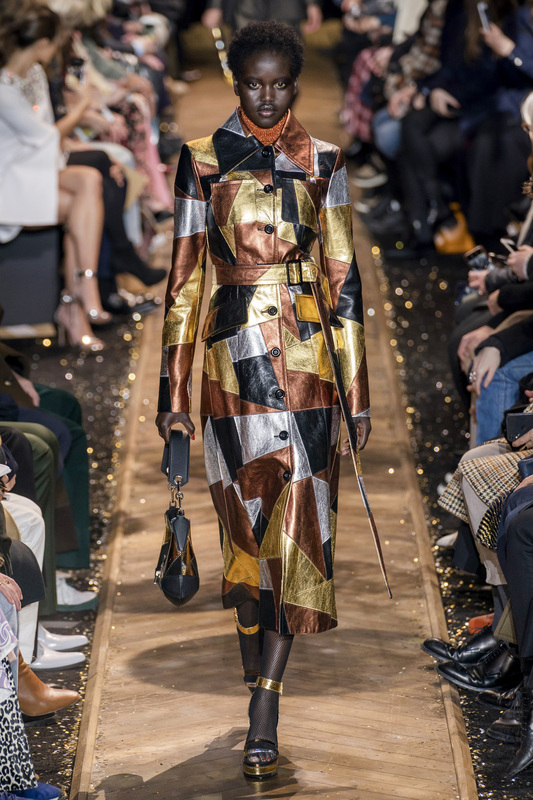 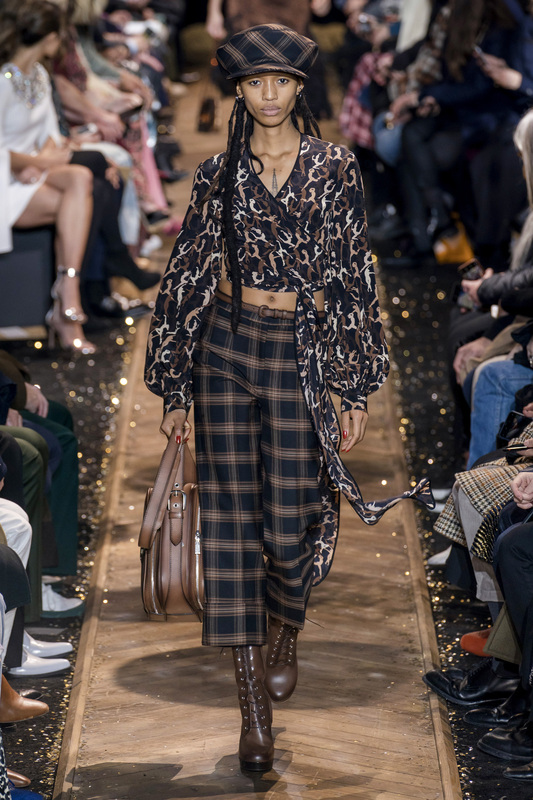 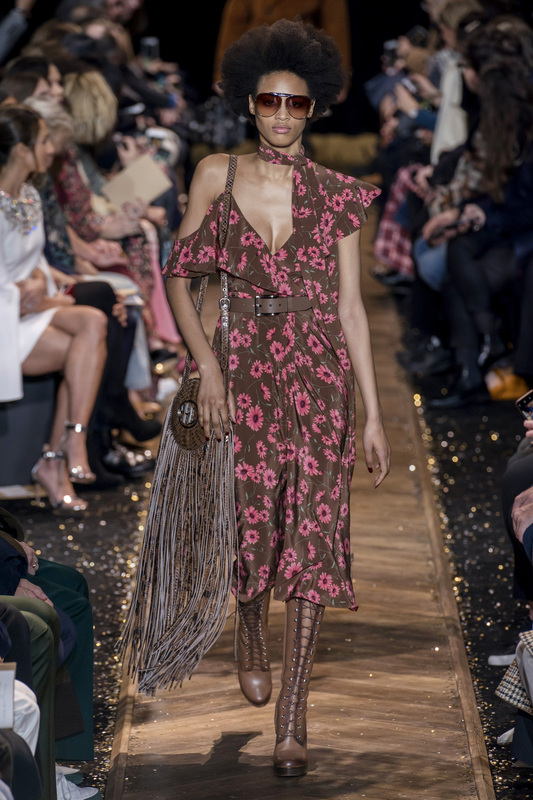 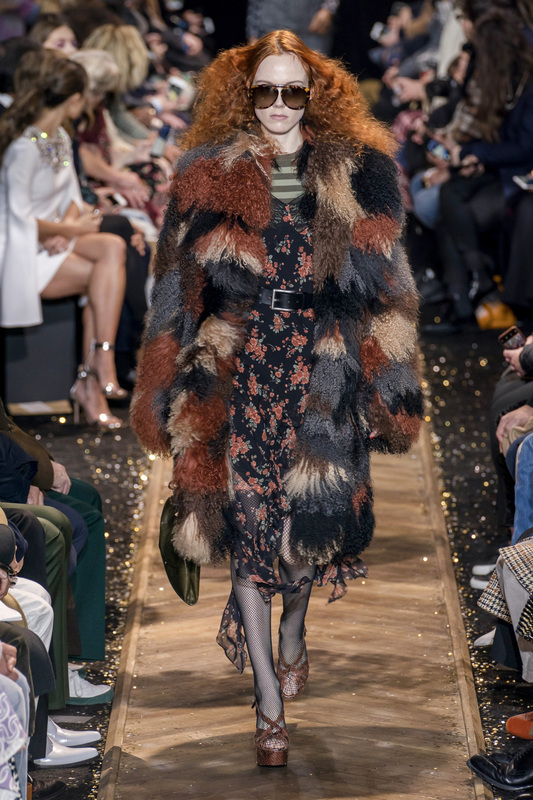 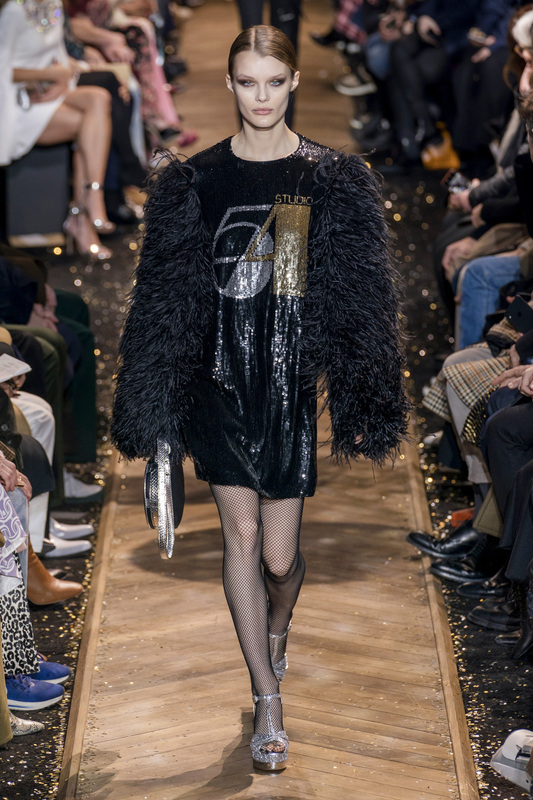 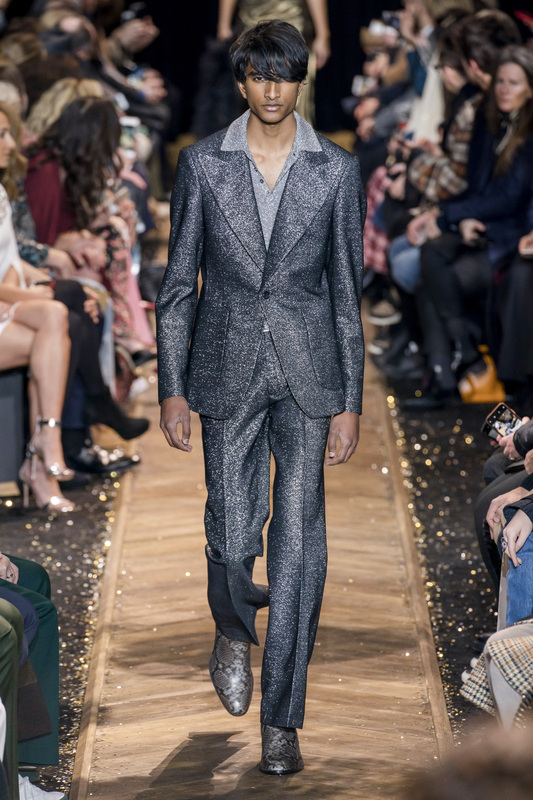 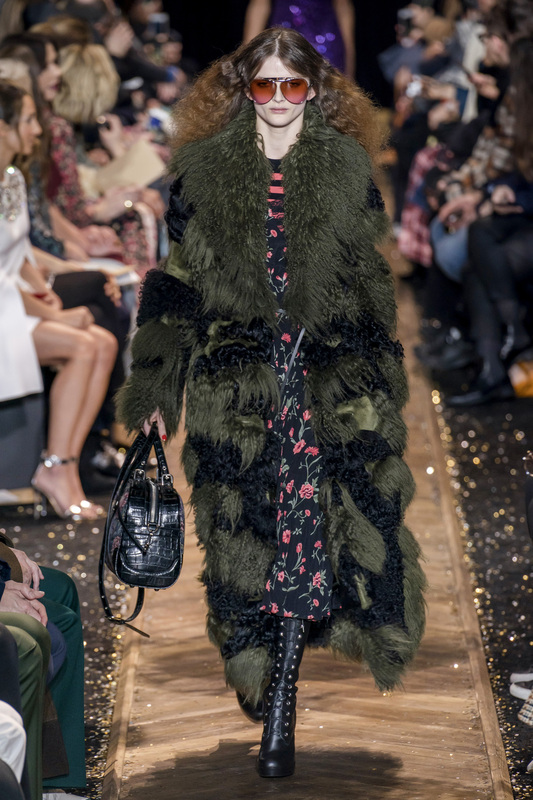 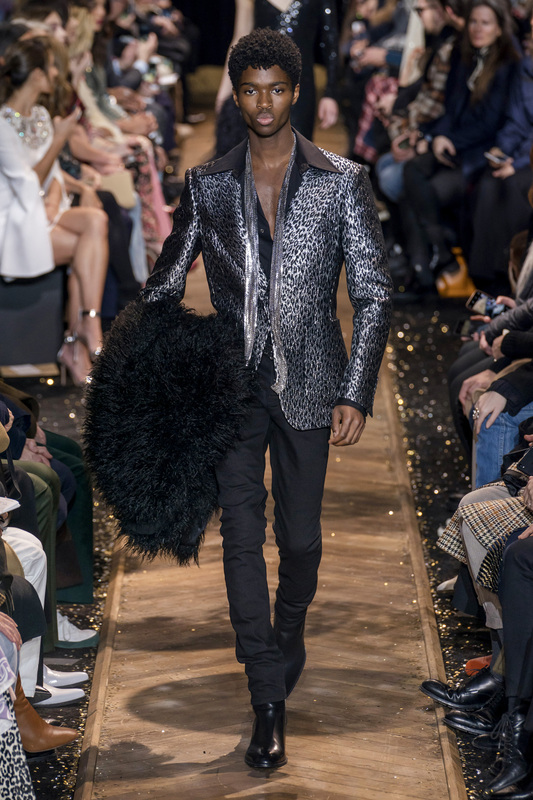 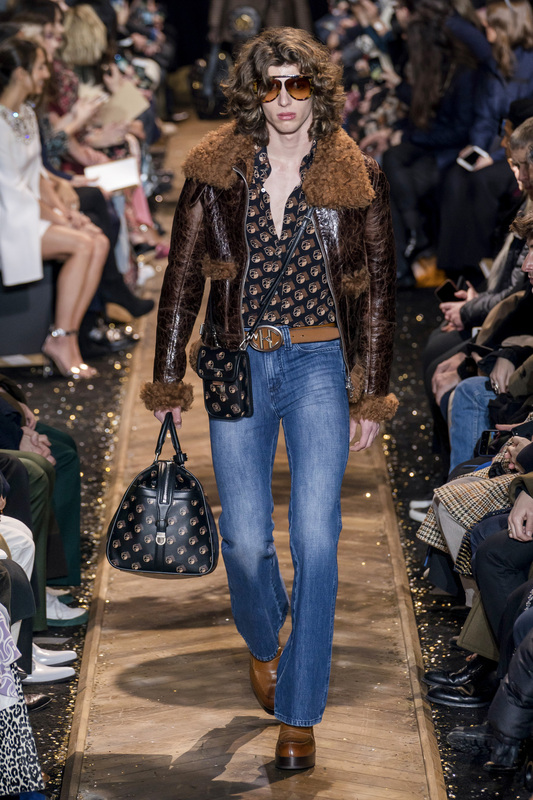 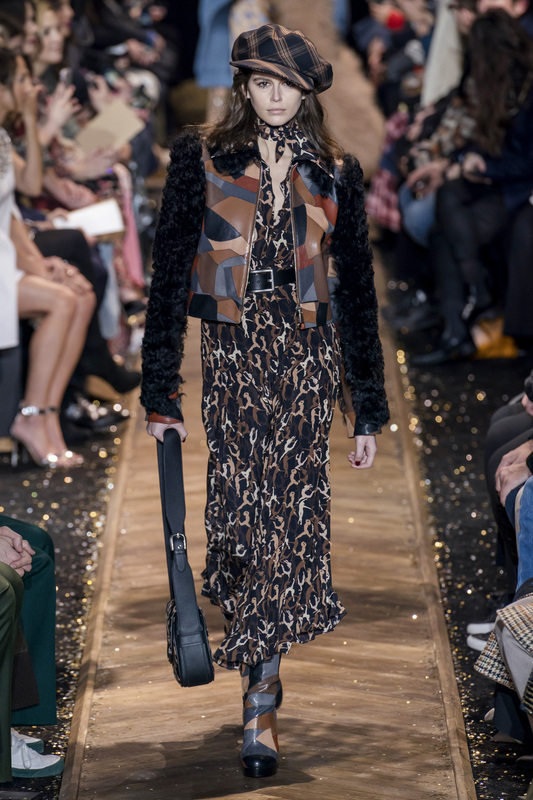 Sequin dresses are aplenty, with metallic and leather outerwear, military details that were a big part of the Pre-Fall collection, faux fur outerwear and details, a new push for the label, and faux animal skins. 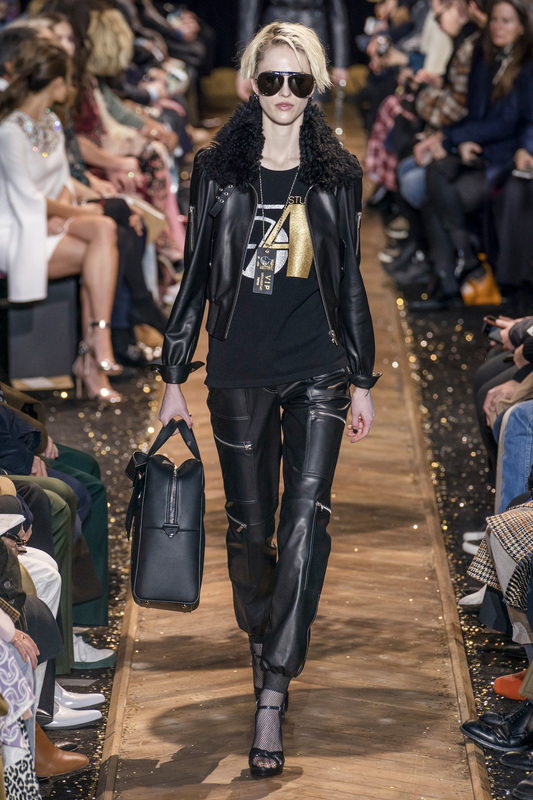 In addition, the Studio 54 logo, which was licensed by the label for the collection, appeared on accessories, t-shirts and knitwear. 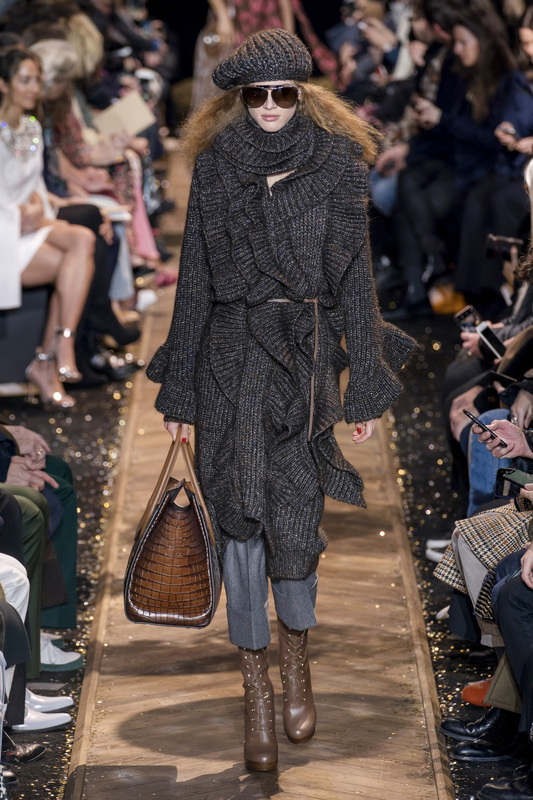 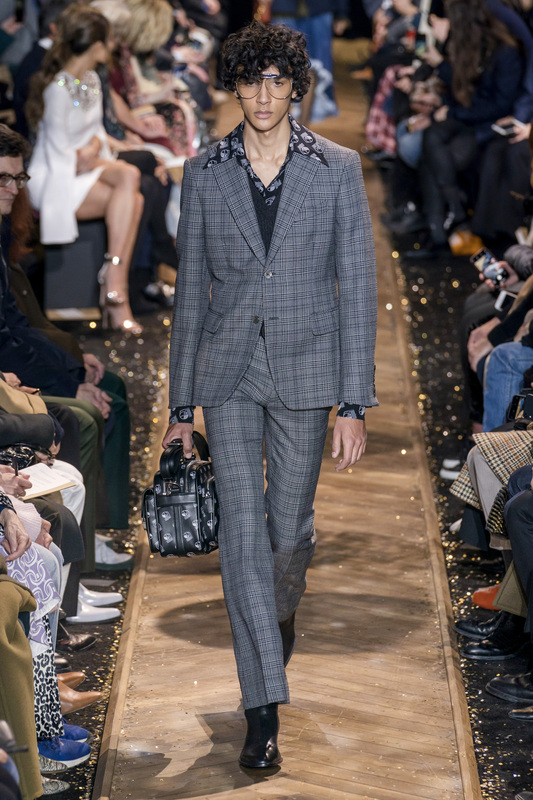 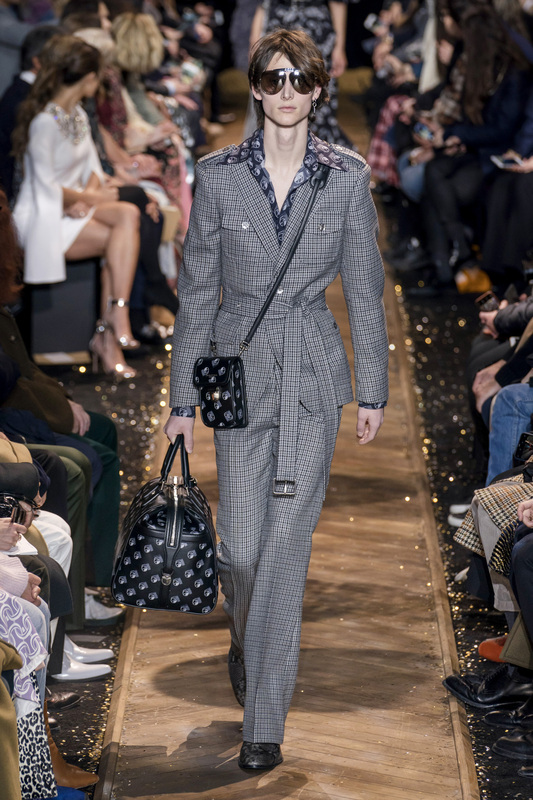 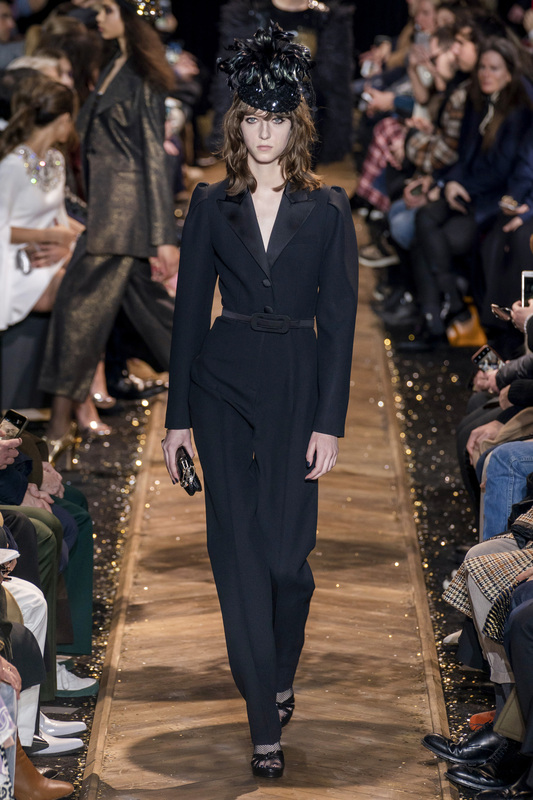 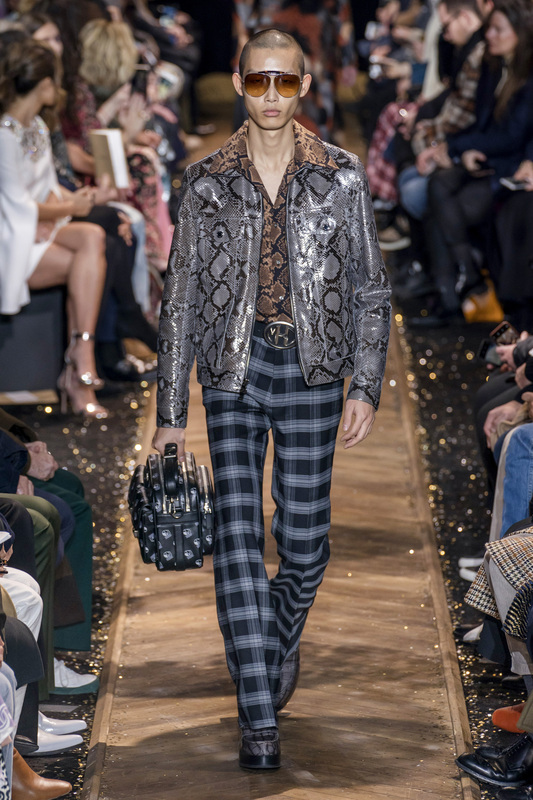 The collection also marked the beginning of a new Michael Kors Collection emblem that was seen on clutches, and other accessories. 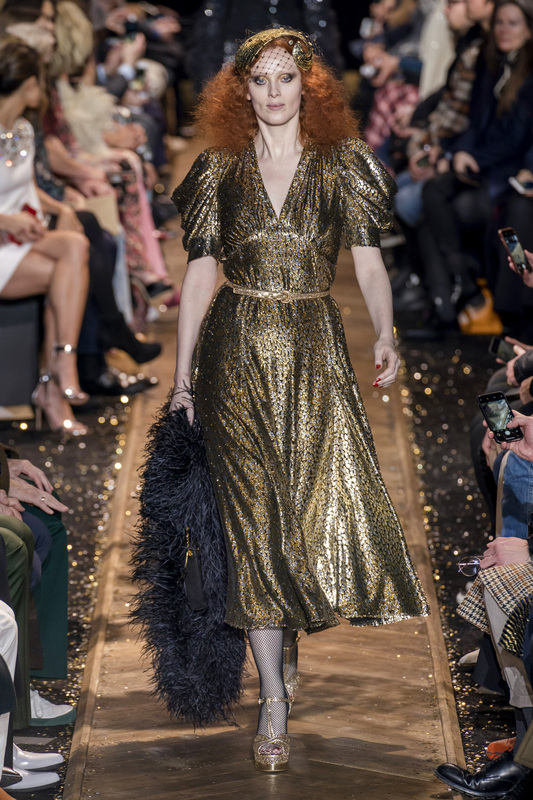 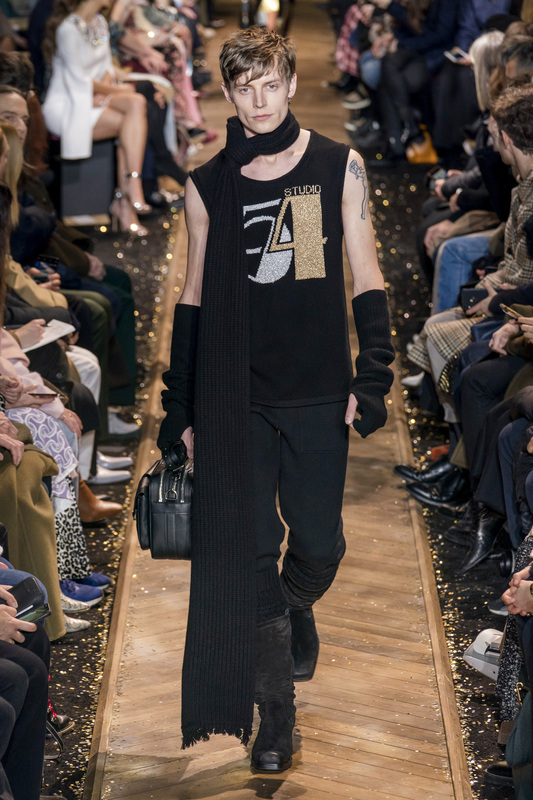 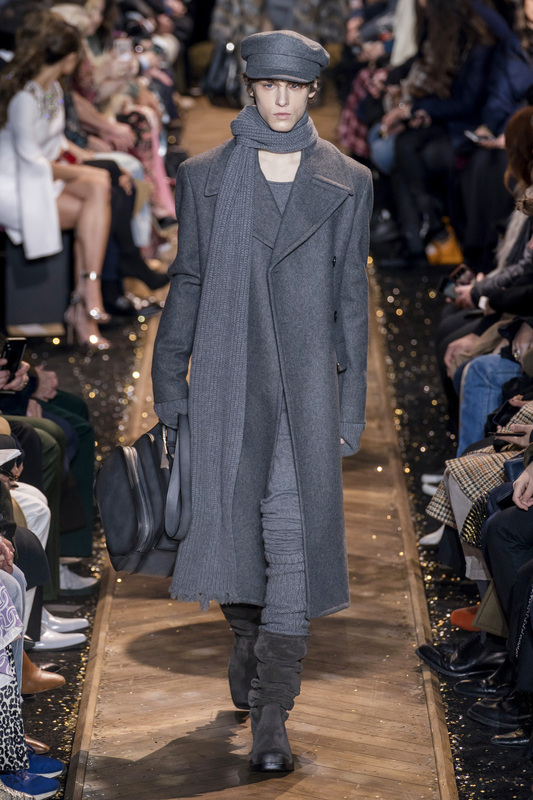 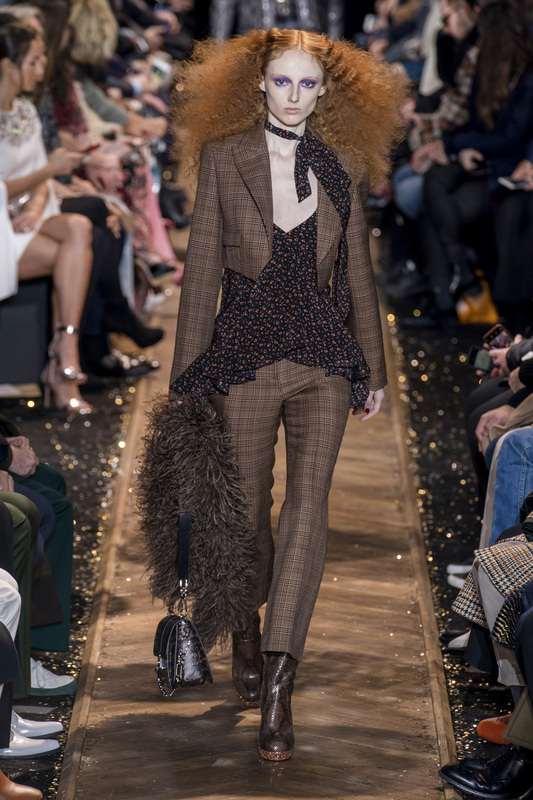 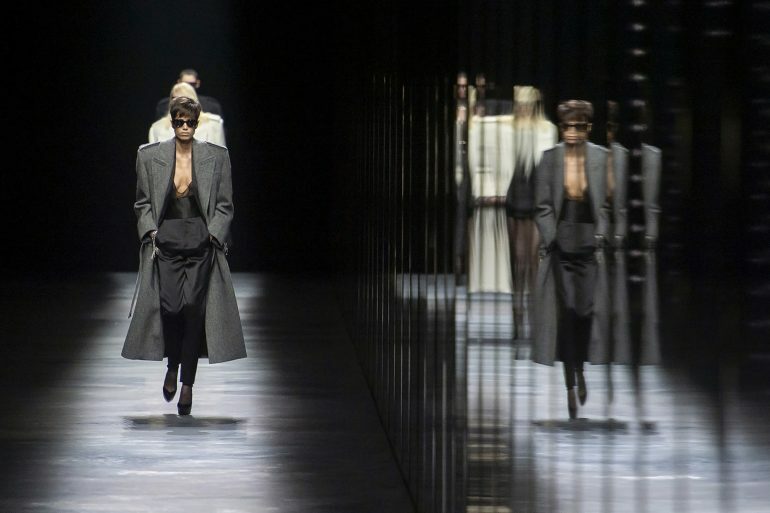 The party didn’t end when the final model walked through the curtain. 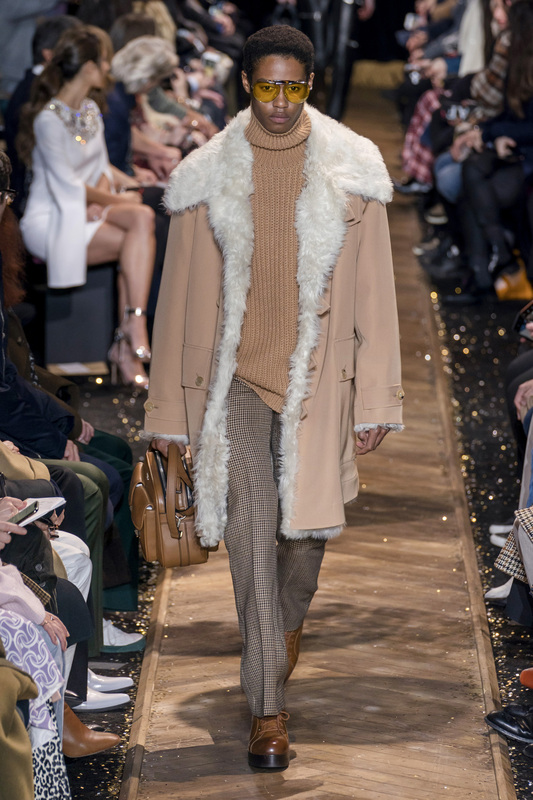 Michael Kors teased a surprise for the show, which turned out to be Barry Manilow, who performed Copa Cabana. 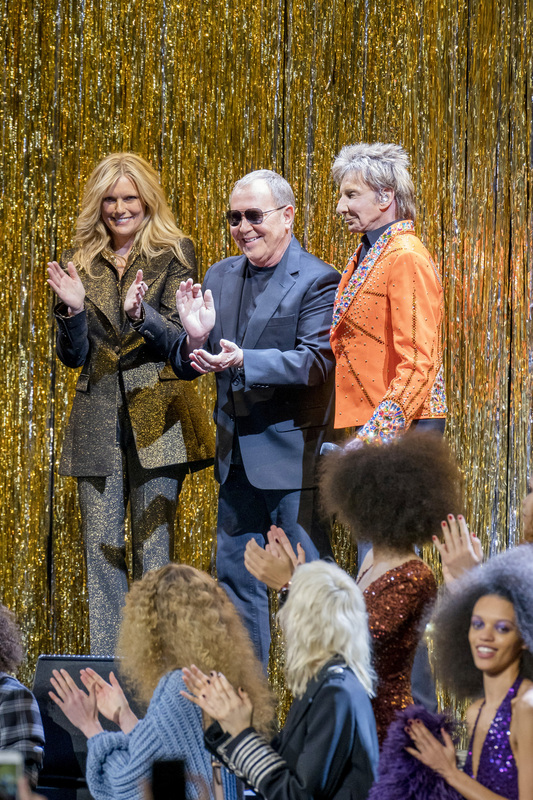 The models joined Manilow during his performance and were later joined by a vibrant and jubilant Kors. 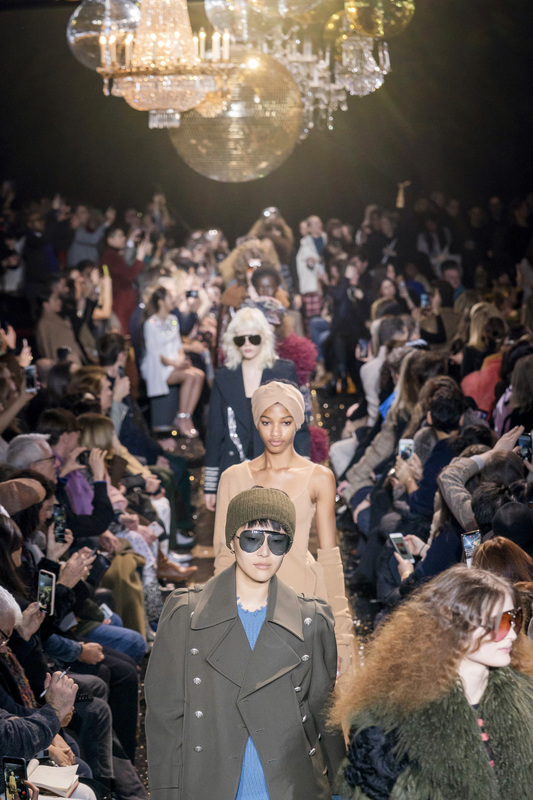 · Cipriani’s was transformed into a nightclub with golden chandeliers, discarded disco balls, and a stage with a gold curtain backdrop that Manilow performed on. 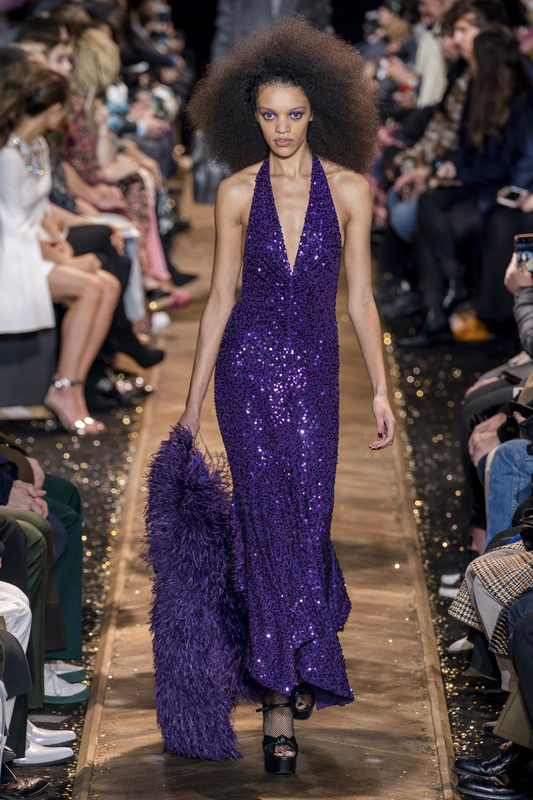 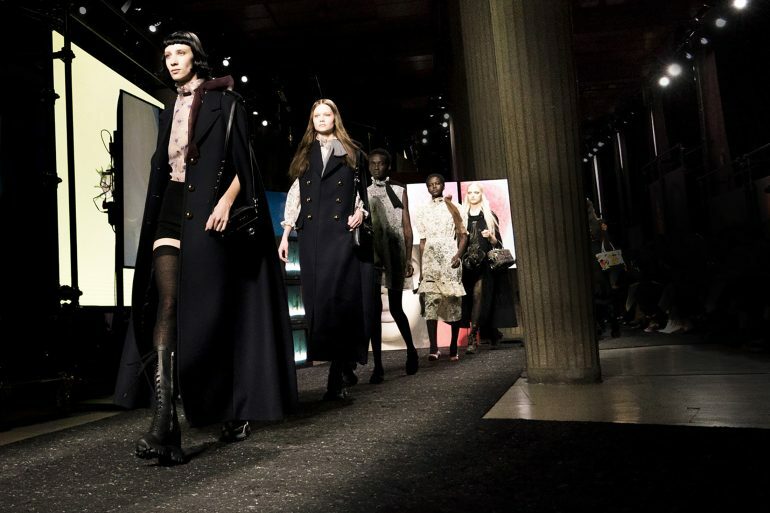 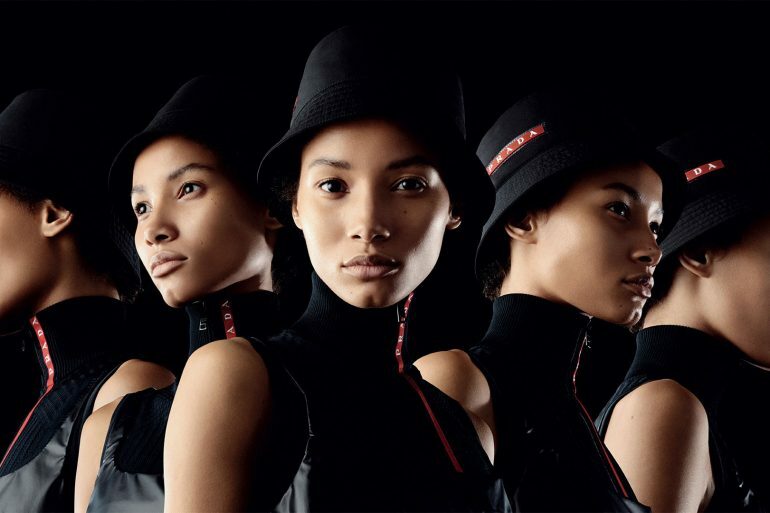 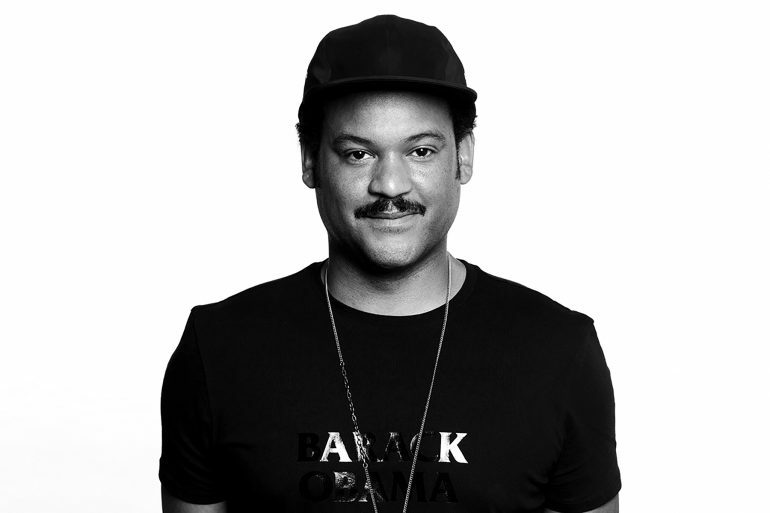 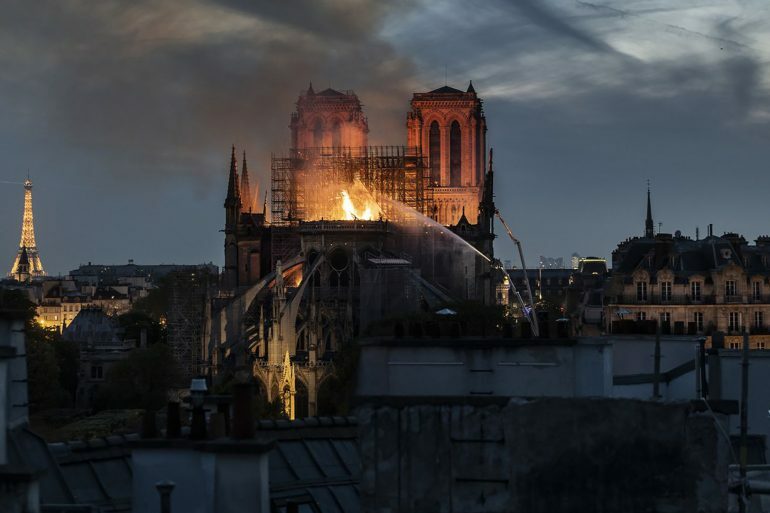 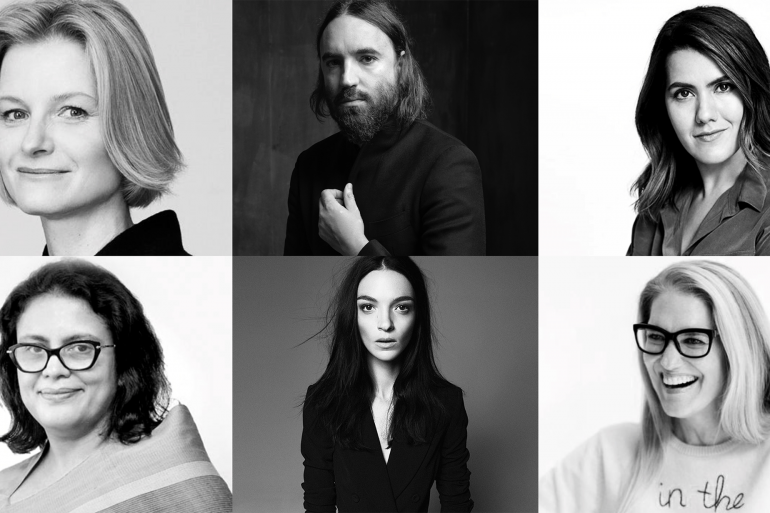 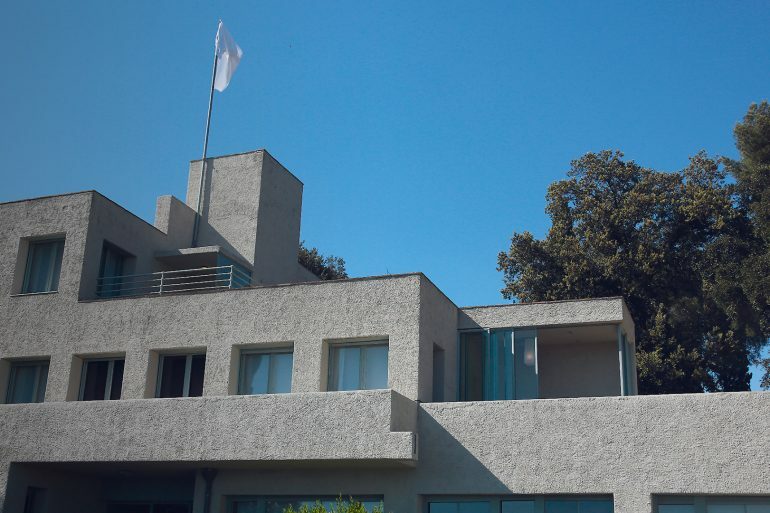 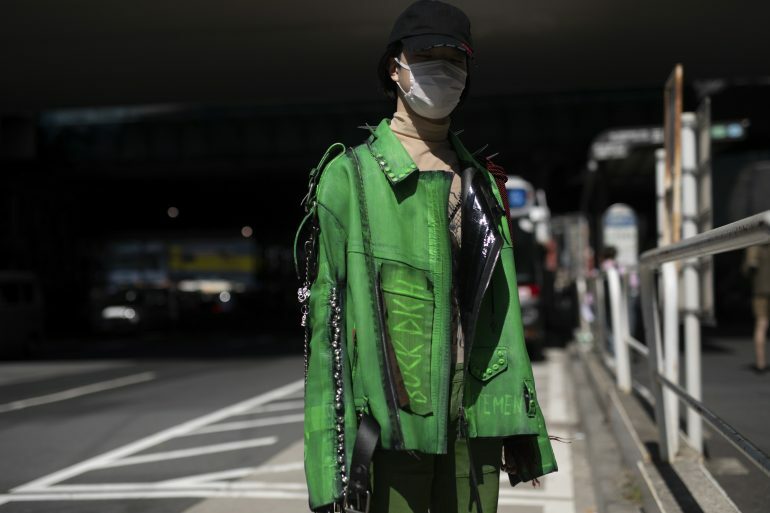 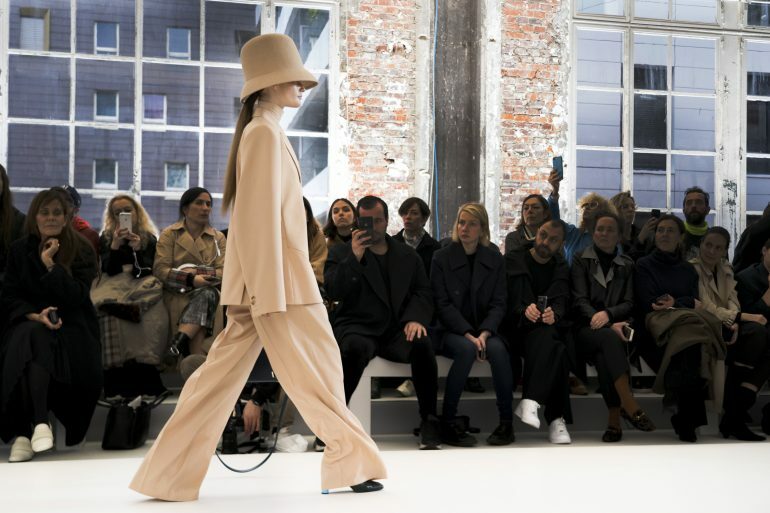 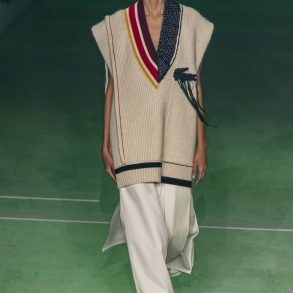 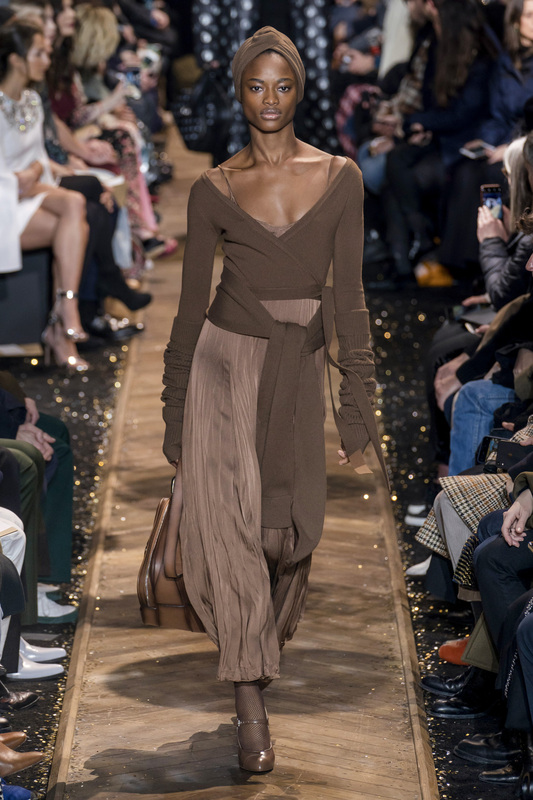 · Notable models included Gigi and Bella Hadid, Bianca Jaggar, and Binx Walton.